Next week, the Inter-American Commission on Human Rights (IACHR) will hold its 157 Period of Sessions, including three hearings on April 5 focused on Guatemala: Right of Women to a Life Free of Violence in Guatemala; Right of Children to Food in Guatemala; and Case 12.932 – Agapito Perez Lucas, Luis Ruiz, Nicolas Mateo, Marcario Pu Chivalan. 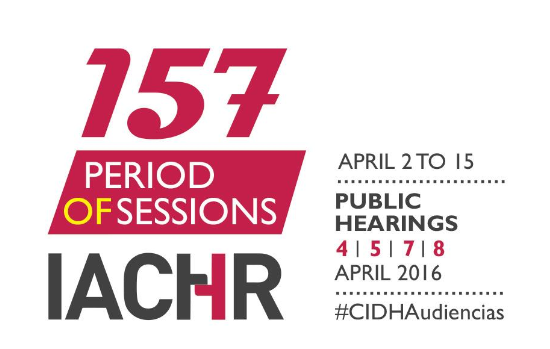 Click here for a full schedule of hearings, which will also be live streamed via the IACHR website. Guatemala has long legacy of state violence, discrimination, racism, and impunity. Nevertheless, recently there have been significant advances in the effort to bring justice for past crimes, including the successful conviction of two former military officers in the Sepur Zarco case this February. In this panel discussion, representatives from human rights organizations in Guatemala will share their analysis of the recent victories for human rights, other emblematic cases underway, and ongoing challenges in the struggle against impunity. Emma Molina Theissen, sister of Marco Antonio Molina Theissen, who was disappeared during the armed conflict. Please join us for a brown bag conversation on the historic Sepur Zarco case, a case led by women survivors and Guatemalan organizations that make up the Alianza Rompiendo el Silencio y la Impunidad. In February 2016, a Guatemalan court found two military officers guilty of crimes against humanity for acts of sexual violence and sexual and domestic slavery in the early 1980s. 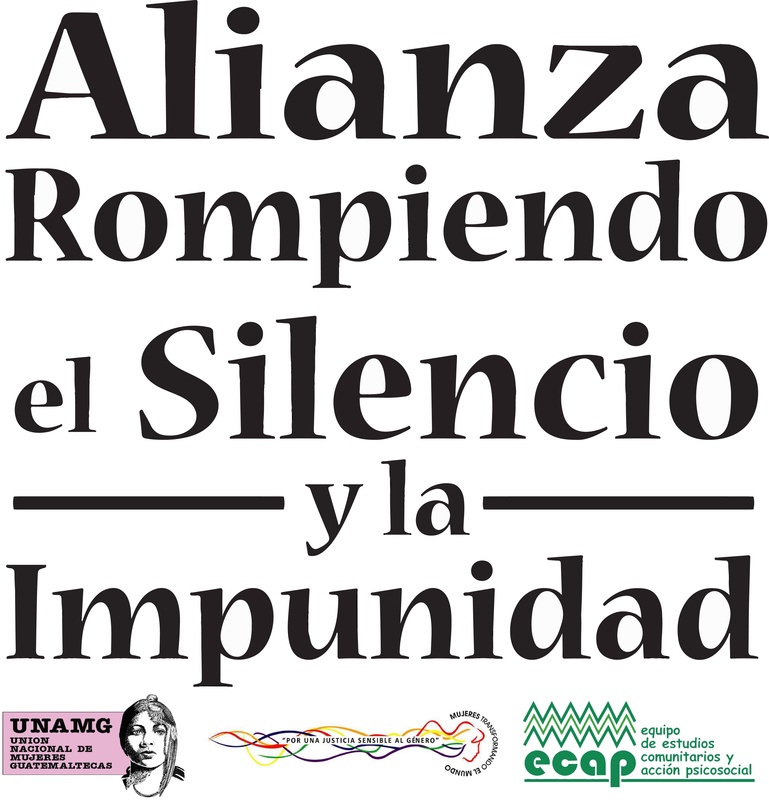 Presenters will discuss their years-long struggle against impunity and the importance of the verdict in Guatemala and internationally, as well as what comes next for the women in Sepur Zarco. Conversation will be in Spanish (if English is needed, please note in your RSVP). Call-in option will be available (Spanish only). The Tom Lantos Human Rights Commission will be holding a briefing on the Criminalization of Human Rights Defenders in Latin America. Stay tuned on our events page for more information. Daniel Pascual, Committee of Peasant Unity of Guatemala (CUC-Comité de Unidad Campesina de Guatemala). Juan Carlos Ruíz Molleda, Peruvian Institute for Legal Defense (IDL).